Many automotive and marine applications are not capable of maintaining consistent peak voltage required to operate performance ignition systems at maximum efficiency. This is a particularly common problem when an alternator is not used and the vehicle relies solely on battery voltage. Even if an alternator is fitted to the engine, the ICE boosters can still assist by boosting voltage from the alternator’s 13.8 – 14.8 volts to 16 volts. However, it is not necessary to use an alternator if space and weight are an issue. 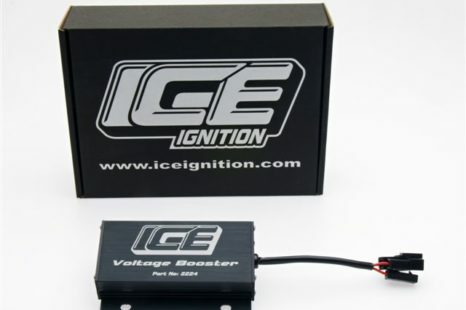 ICE voltage boosters deliver a constant 16 or 24 volts to ensure reliable and powerful ignition performance. Therefore, the state of charge of the battery has no effect on ignition system performance. All ICE Boosters are compact and lightweight, featuring an extruded black anodised aluminium case with durable laser etching and stainless steel tamper proof screws.